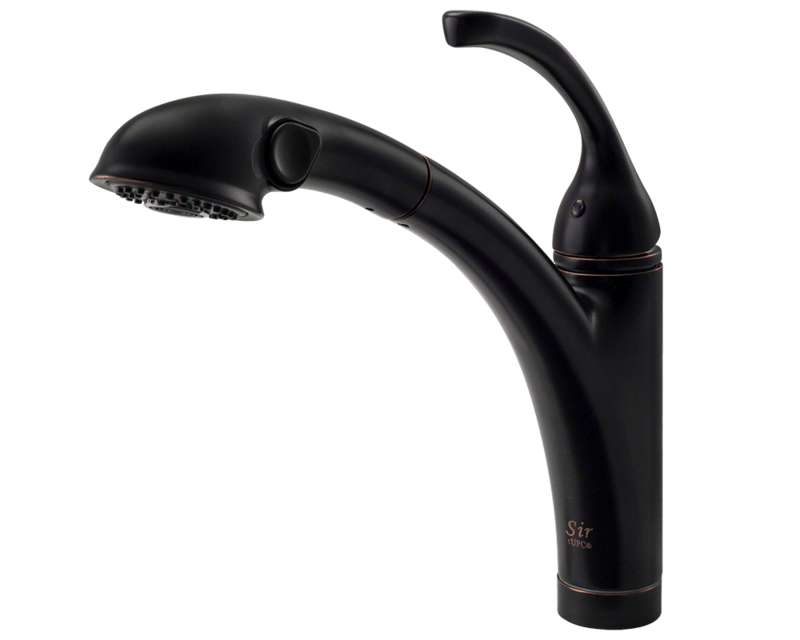 The 765-ABR Single-Handle Pull-Out Kitchen Faucet features a multifunction spray head that can be controlled by the simple press of a button conveniently located on its side. Flaunting the longest spout in our line of pull-out faucets, the 765-ABR also has a 56" flexible nylon hose. The single handle mimics the curve of the faucet producing an elegant double arch effect. Available in an antique bronze finish. The dimensions for the 765-ABR are 2 1/8" x 10 3/4" x 11 7/8".